This month, two ceramics exhibitions open in the Twin Cities that, with tremendous depth and breadth, demonstrate the passions that drive artists who innovate original artworks in clay and those dedicated to collecting those works. At Norway House in Minneapolis, VESSEL: Ceramic Art by Michael Geertsen and Morten Løbner Espersen opens on Friday, January 25 and showcases work by two contemporary Danish artists. Both undertake bold reinterpretations of common household objects—vases, pitchers, plates—in works of unexpected form, surface texture, color, and size. In doing so, they reveal an imaginative approach to everyday décor that elevates the quotidian to art object. Bonus: Mike Loeffler’s wood drinking vessels will also be on display as part of the exhibition. The Minnesota artist’s rough-hewn yet exquisitely delightful cups revive, in contemporary fashion, the folk art of traditional, farmhouse wooden ale bowls with origins in 16th-century Scandinavia. 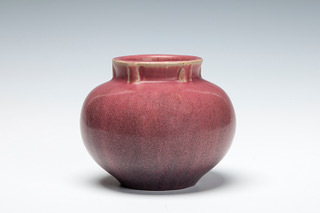 On Saturday, January 26, Ruth Crane: A Ceramic Collector’s Journey opens at the Goldstein Museum of Design in St. Paul. 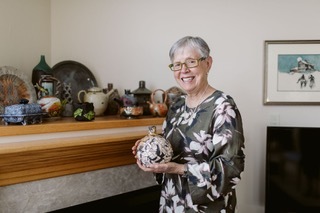 As Amelia Narigon writes in her article about Ruth and Doug Crane and their evolution as collectors, what started by happenstance has grown into a singular collection of vases, teapots, pitchers and one-of-a-kind artworks by many of the United States’ most notable ceramists. Recently, the Cranes donated much of their collection to the Goldstein, which boasts a collection larger than that of the Walker Art Center and Weisman Art Museum combined. 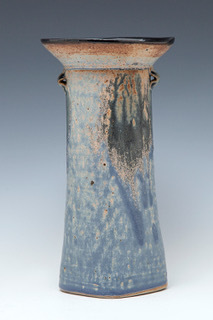 The exhibition coincides with the 2019 National Council on Education for the Ceramic Arts (NCECA) conference in Minneapolis from March 27-30.